Are you working with real people or fake people on social media sites? Do people really know who you are? Do you really know who your followers are? As all of us work online and offline it is so critical that we connect in a real way. This starts by recognizing people and knowing their names. It sounds very basic, but all of us now come in contact with people online, offline, once a year, at work, at school. It is hard to know everyone’s name. Have you ever received a question like this one, ” I see you are connected to “John Doe” on Linkedin at Company XYZ can you introduce me.” You think back and remember that John Doe invited you to connect but you are not sure why and you have never talked to John Doe directly. I guess some things I would suggest to you. To me, social media platforms are the first introduction. I don’t tell people that I have 1000 close friends on Twitter. They are simply connections. Some, in fact do not even follow me back. If you want more, you need to continue to work at those connections. You can try to build them online or you can take it offline if they are a local contact. I have met several people outside of Twitter or Linkedin. Another thing to remember is to keep your brand alive by posting regularly on social media sites. On Linkedin, if you want people to know what you are up to, update your personal profile. Each time you change your profile a note is sent to your clients. It helps you stay on their radar even if you cannot visit with them. Also, don’t forget to post an update from time to time. 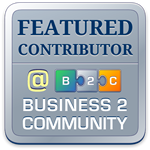 Share an article, ask a question or share a link to your company or blog site.